At the recommendation of a friend from work, I decided to give another cafe-down-an-alleyway-off-Hardware-Lane a go. I get the feeling that in order to stay alive in such a competitive environment, you have to be very, very good at what you do. 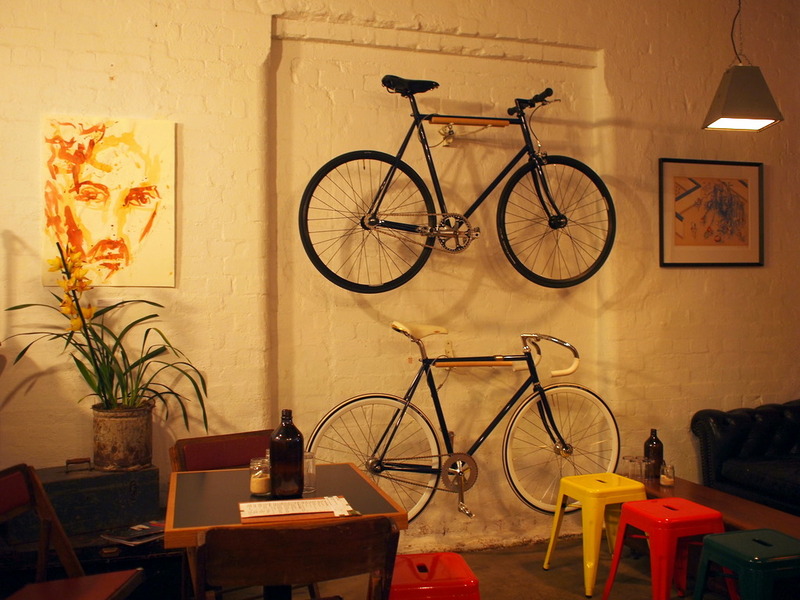 The Little Mule Cycle Co. & Cafe is, as the name suggests, both a bicycle shop and a cafe. While I can't really vouch for how good the shop part is, as a cafe, it is more than adequate. Having the bicycles dotted around for a reason rather than being purely for decoration is both practical and attractive, and doesn't feel at all pretentiously hipster. The mix of seating available (single tables, a long table, stools and couches) means that, provided they're not already occupied, you can sit yourself where-ever, and however, you fancy. Their menu isn't extensive, but there's a nice mix of breakfast options, melts, sandwiches and baguettes. 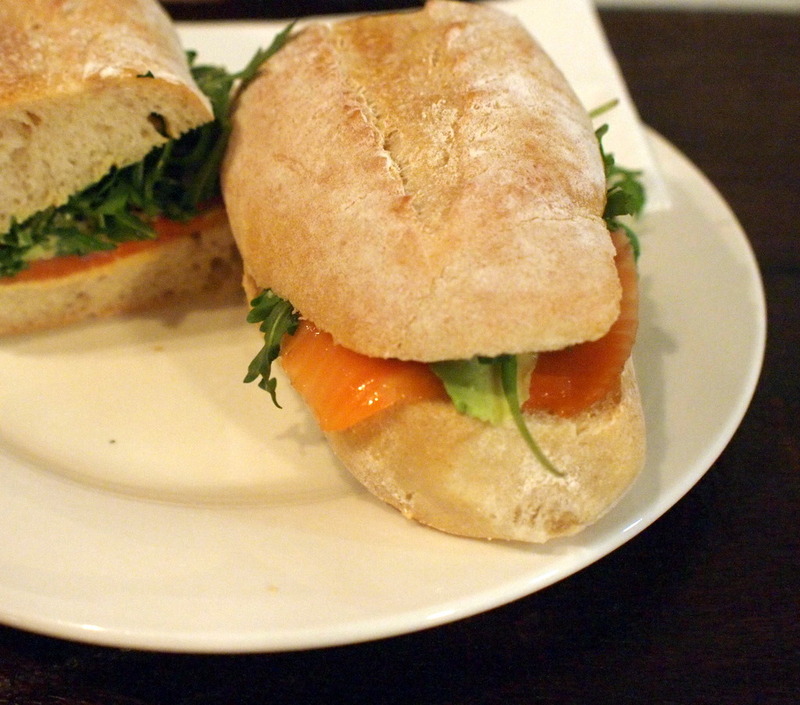 My companion ordered a simple salmon baguette with avocado, spanish onions, capers, capers, Dijon and mixed leaves which he pronounced as delicious. I'm fairly sure it wasn't anywhere near as delicious as my baked eggs with their secret tomato mix, chorizo and Spanish blood sausage. So tasty. I haven't quite figured out whether this a breakfast dish or a lunch dish, but frankly, I don't give a damn. I'm not even tempted by anything else on the menu if they keep this relatively new addition on offer. Fast and friendly service makes this a quiet little gem tucked away from the hustle and the bustle of the street. 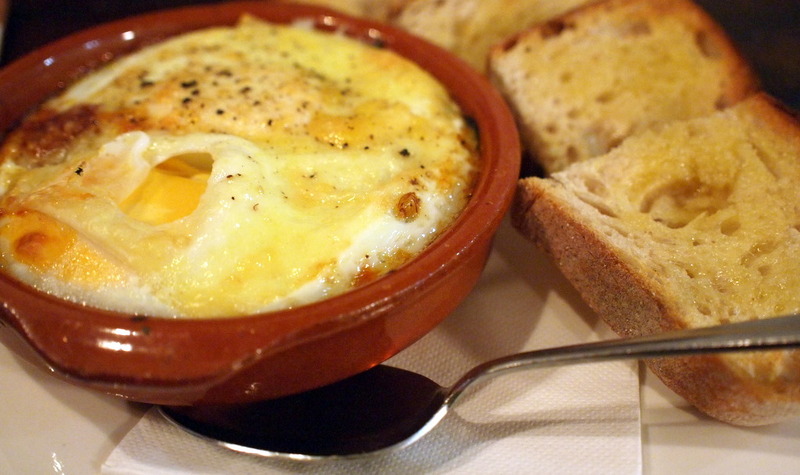 Diggin the look of the baked eggs.